PIGEON FORGE, TN - For the owners of Uncle Lem’s Outfitters, Kevin and Cheryl Hill, it was not a matter of “if”, but a matter of “when” they would take their store home to the Great Smoky Mountains in Pigeon Forge. They will be opening their third location this month, this time on the Parkway next to the Christmas Place. 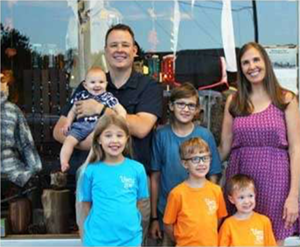 Uncle Lem’s great, great nephew, Kevin Hill and his family outside their store. “It’s always been our dream to be in the Smoky Mountains, it was where my husband’s great, great Uncle Lem Ownby was from,” said Cheryl Hill. Uncle Lem was the last lifetime leaseholder in the great Smoky Mountains National Park. Despite eventually going completely blind, Uncle Lem continued to work and live in the remote mountains until he passed away in 1984. Renovations of the new Pigeon Forge store will kick off with the installation of an Uncle Lem’s Outfitters sign. 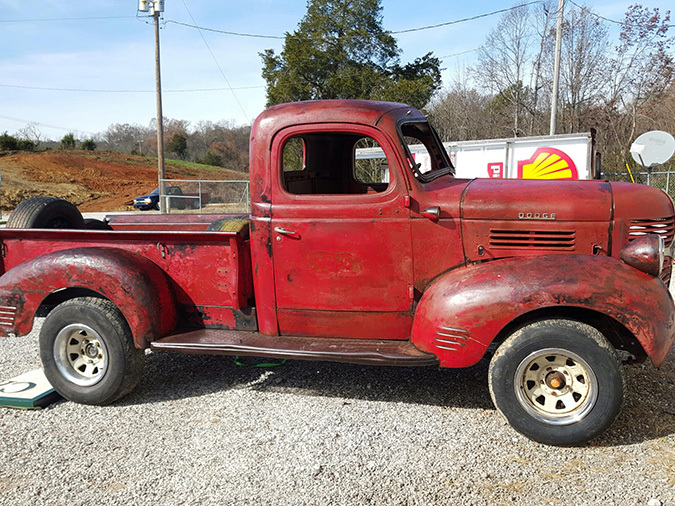 Kevin Hill thought it would be in keeping with Pigeon Forge style to load kayaks into the back of ’47 Dodge truck and hoist it 25 feet in the air above their new store. Once completed, the 4,580 square foot store will reflect an age gone by, with reclaimed barn wood and cedar. Replicating the same welcoming rustic interior of first two Uncle Lem’s Outfitter stores that opened in West Knoxville in 2010 and in South Knoxville in 2016. Merchandise will include the popular brands Uncle Lem’s always carries, in addition to their own line of Uncle Lem’s branded clothing and accessories. From fishing to hiking to camping to kayaking to touring around town, Uncle Lem's can supply outdoor enthusiasts with the essential gear. Uncle Lem’s have pledged one percent of their Pigeon Forge store’s revenue for the next four years to benefit the city’s greenways and blueways. For more information on Uncle Lem's, you may visit unclelems.com.